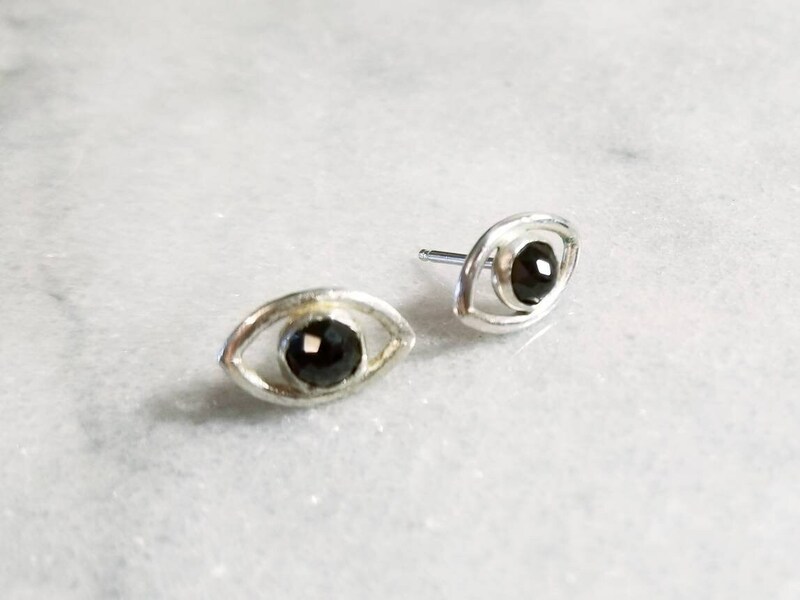 Inspired by the ancient symbol of protection, I created these earrings out of fine and sterling silver. 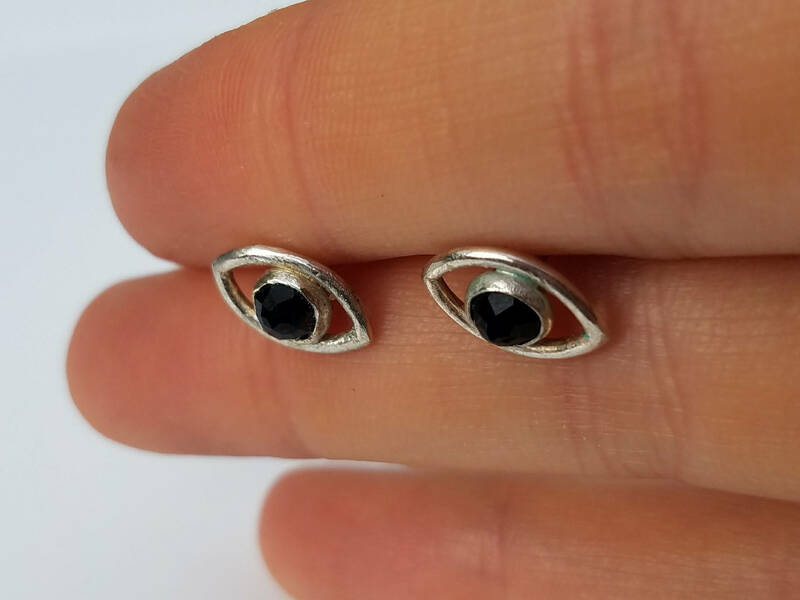 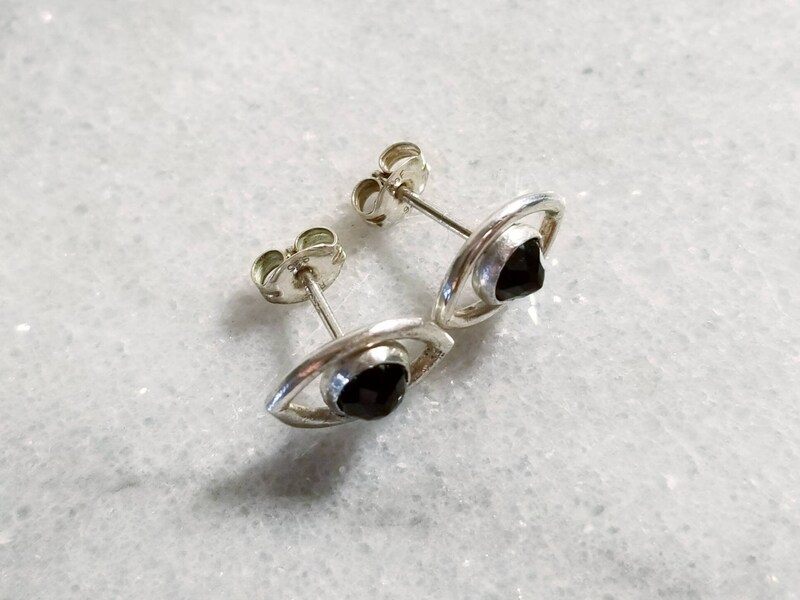 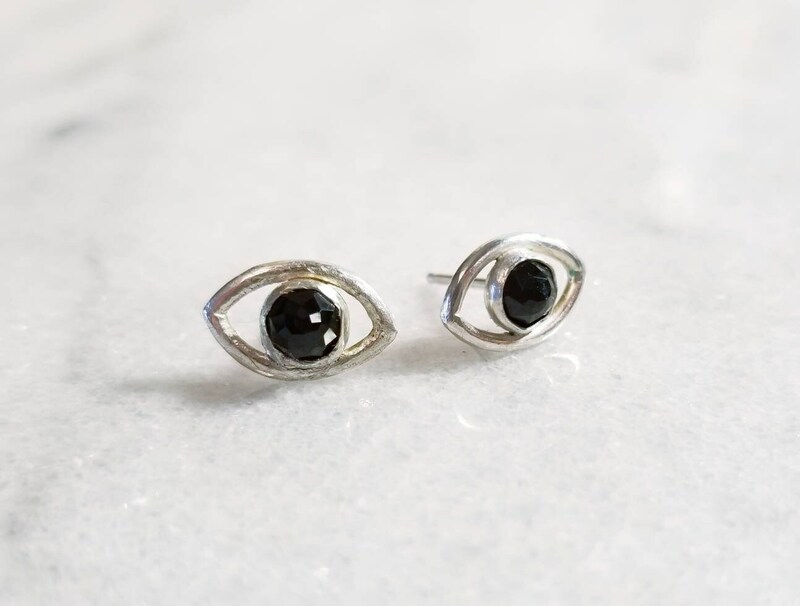 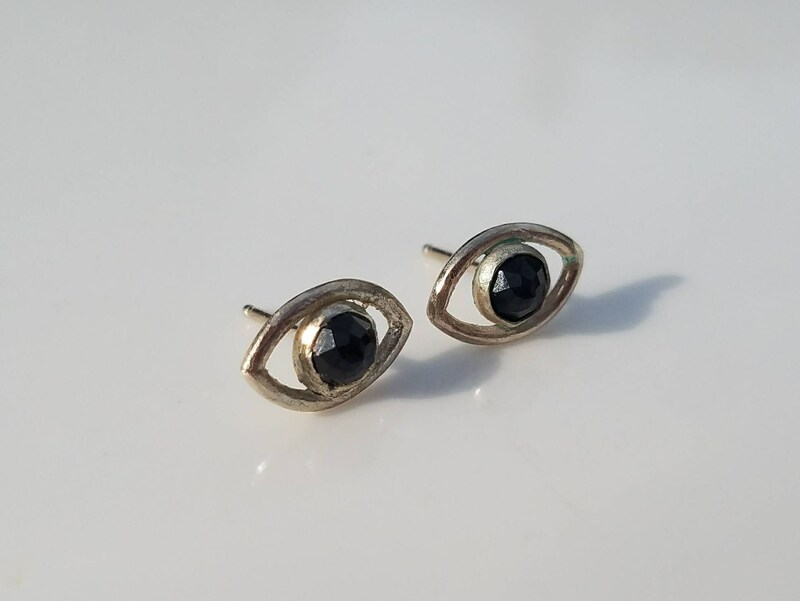 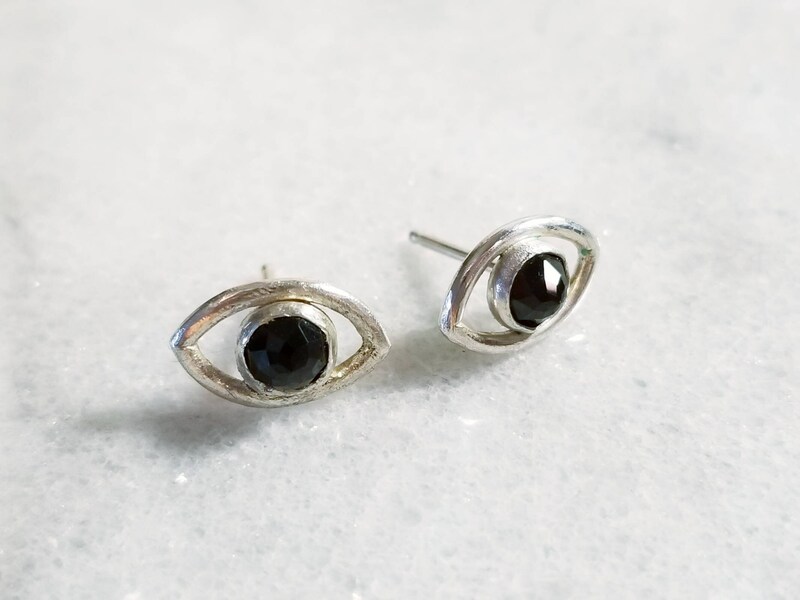 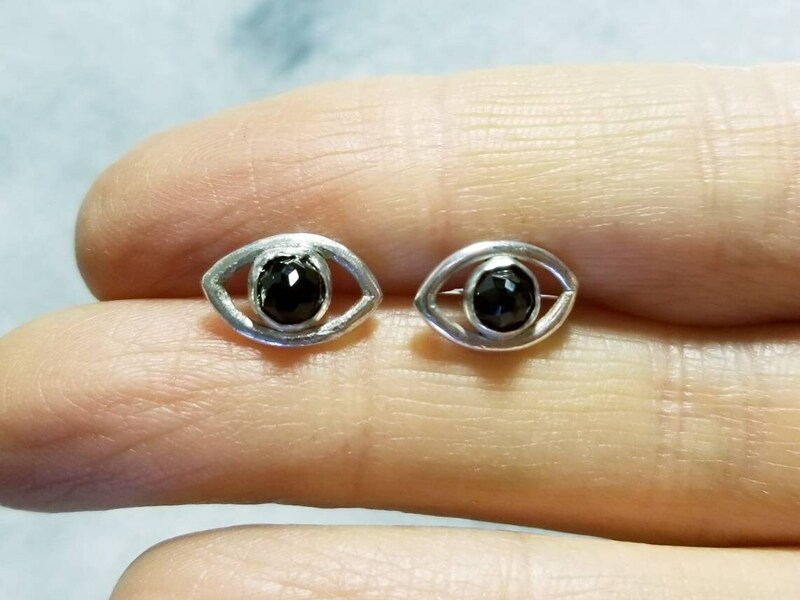 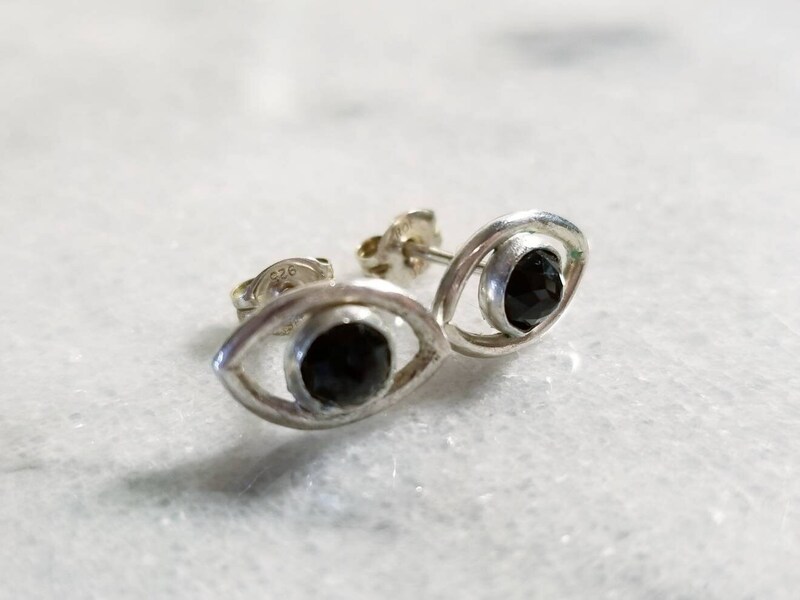 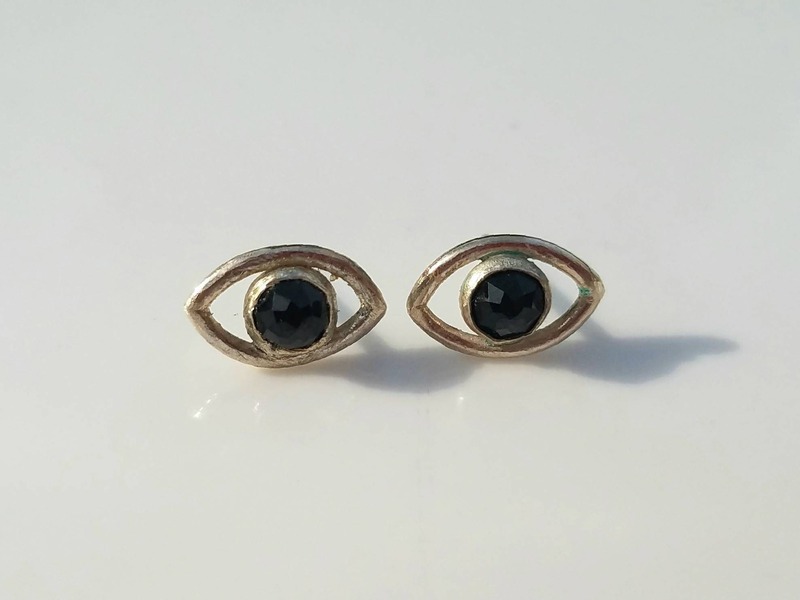 In the centers sit sparkly 5mm rose cut black spinels with their deep black contrasting the brightness of the metal. 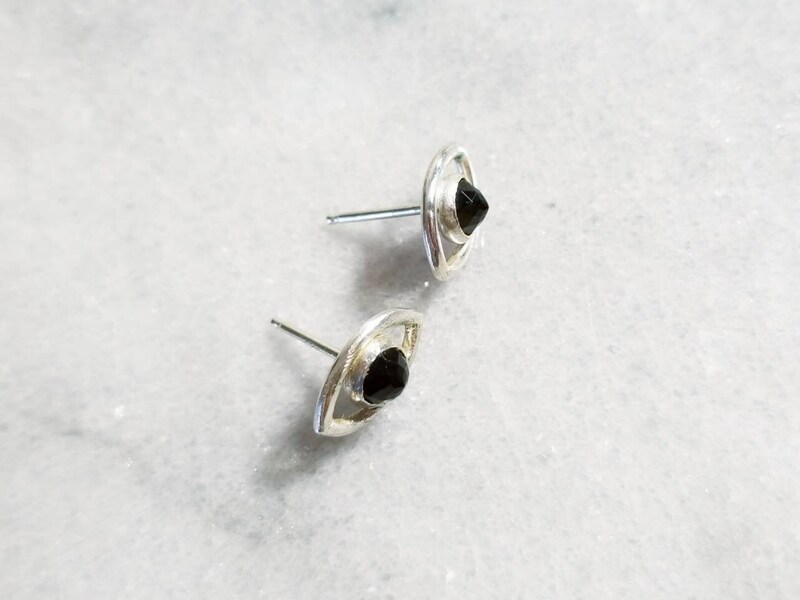 The earrings are approximately 8mm by 12mm, the posts and backs are sterling silver.